Tennessee has no estate tax, regardless of the size of your estate. There is a federal estate tax, though, that will apply to Volunteer State residents who have estates of sufficient size. This page will walk Tennesseans looking to plan their estates through what they need to know to make sure everything is in order. One of the best ways to prepare your estate is to work with a financial advisor. SmartAsset can help you find the right advisor for you with our free financial advisor matching service. Tennessee does not have an estate tax. It is one of 38 states with no estate tax. Also referred to as the “death tax,” the estate is levied on the estates of people who have recently died. The estate tax applies before the money and assets in the estate are passed on to a decedent’s designated heirs. The estate tax only applies to estates valued above a certain threshold, which is legally determined by the government levying the tax. The inheritance tax is different from the estate tax. The inheritance tax applies to money and assets after distribution to a person’s heirs. Tennessee does not have an inheritance tax either. There is a chance, though, that another state’s inheritance tax will apply if you inherit something from someone who lives in that state. Kentucky, for instance, has an inheritance tax that applies to all property in the state, even if the person inheriting it lives elsewhere. If someone living out of state leaves you an inheritance, check local laws so that you don’t end up missing a tax payment. Tennessee also has no gift tax. There is a federal gift tax, though, which has an annual exemption of $15,000 per year for each gift recipient. If you give one person more than $15,000 in a single year, you must report that gift to the IRS. Any amount gifted to one person over that limit counts against your lifetime gift tax exemption of $11.18 million. It also reduces your federal estate tax exemption. Though Tennessee has no estate tax, there is a federal estate tax that may apply to you if your estate is of sufficient value. There is a $11.18 million exemption for the federal estate tax in 2018. The exemption level will increase to $11.40 million in 2019. The federal exemption is portable for married couples. This means that a married couple can apply both of their exemptions to their estate after they both die. With the right legal maneuvers, a married couple can protect up to $22.36 million. Estates worth more than the exemption are subject to an estate tax with ascending rates, topping out at 40%. Here is an example: Let’s consider an estate worth $14 million that belongs to an unmarried individual. To determine the total estate tax burden, you’ll first need to subtract the $11.18 million exemption, leaving a taxable estate of $2.82 million. The first $1 million has a base tax payment of $345,800. An additional 40% is owed on the remaining $1.82 million, which totals $728,000. Add that figure to the base rate and you’ll get the total estate tax burden for this estate, which is $1,073,800. *The taxable estate is the total above the federal exemption of $11.18 million. **The rate threshold is the point at which the marginal estate tax rate kicks in. 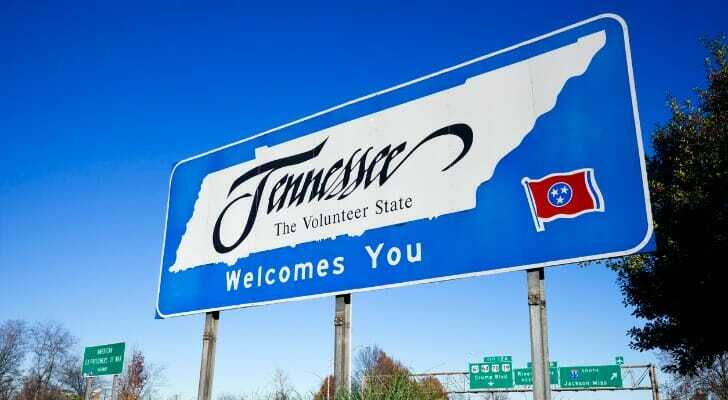 Tennessee is tax-friendly for retirees. 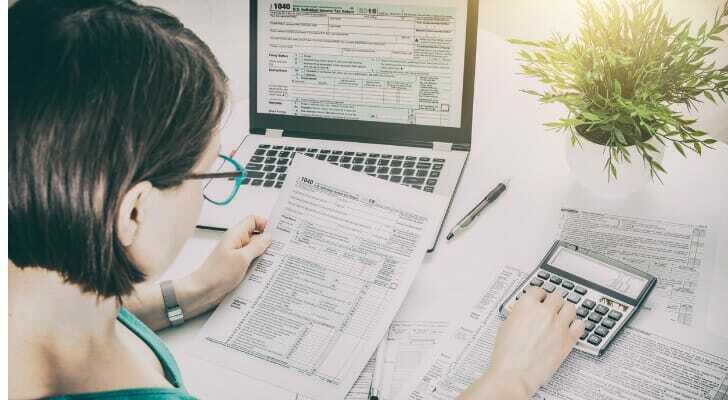 The state does not tax Social Security income nor does it tax withdrawals from retirement accounts like 401(k) plans or income from public or private pensions. In fact, Tennessee’s income tax only applies to interest and dividends, not including those earned from retirement accounts. This means the state will not tax any money you earn during retirement, including any wages made from a post-retirement job. Property taxes in Tennessee are very low as well, with an average effective rate of 0.75%, the 11th lowest in the country. The state also offers property tax relief to select individuals. This includes fully disabled individuals and anyone 65 or older with a total household income of less than $29,180. Anyone who is eligible will receive an exemption of $27,000 on the value of their home. Tennessee does have the second highest sales tax in the nation. The statewide rate is 7%, and local rates range as high as 2.75%. The average rate statewide is 9.46%. Finding a financial advisor to help with the details of estate planning can make everything easier. SmartAsset can help you find an advisor who suits your needs with our free financial advisor matching service. You’ll answer a few questions about your financial situation and goals. Then, we’ll match you with up to three advisors in your area, all fully vetted and free of disclosures. You can then talk to each advisor match and make a decision about how you want to move forward. Though you may be tempted to just plan your estate by yourself, there are serious dangers to DIY estate planning. Seriously consider finding an advisor or a lawyer to help you through the process. 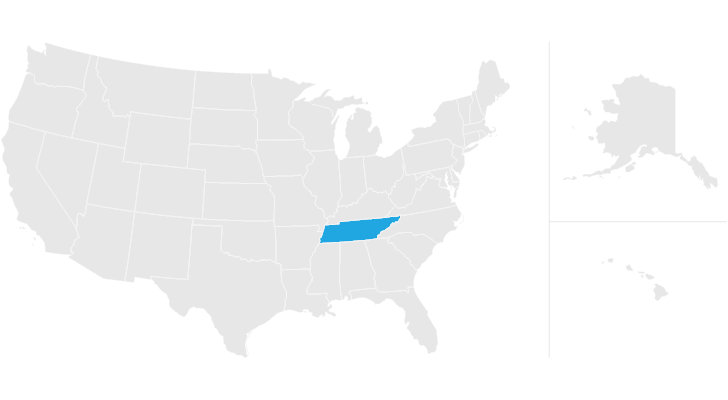 The post Tennessee Estate Tax appeared first on SmartAsset Blog.